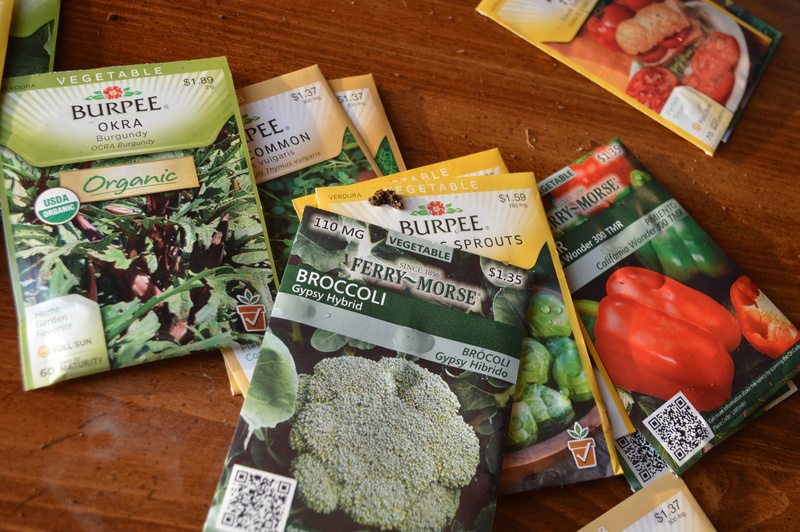 Go Garden: Starting Seeds | Bloom. Last night, we started seventeen different seeds. Things that we will not be starting indoors are items like root vegetables such as carrots, beets and radishes. We saved some lettuces to sow right into the ground as well. 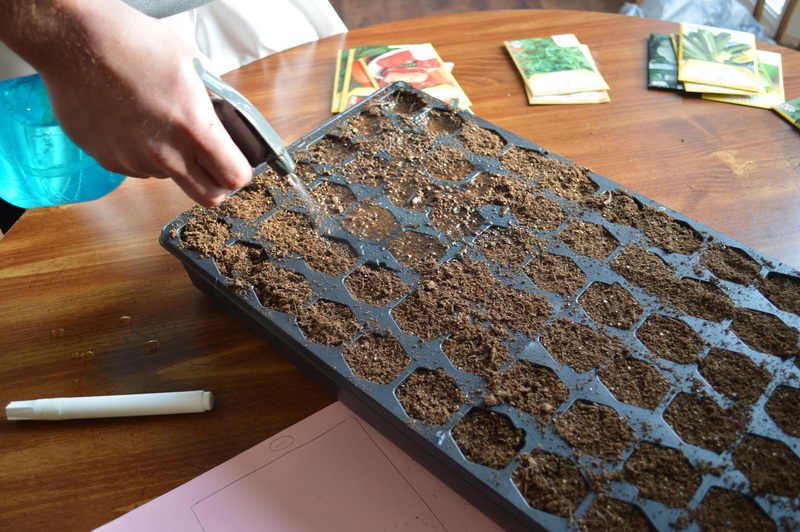 A good rule of thumb is that seeds should be started indoors about six to seven weeks before the last frost. The last chance of frost in my area is May 11 (…Here’s hoping!). So, I am right on track as it’s about six and half weeks out. 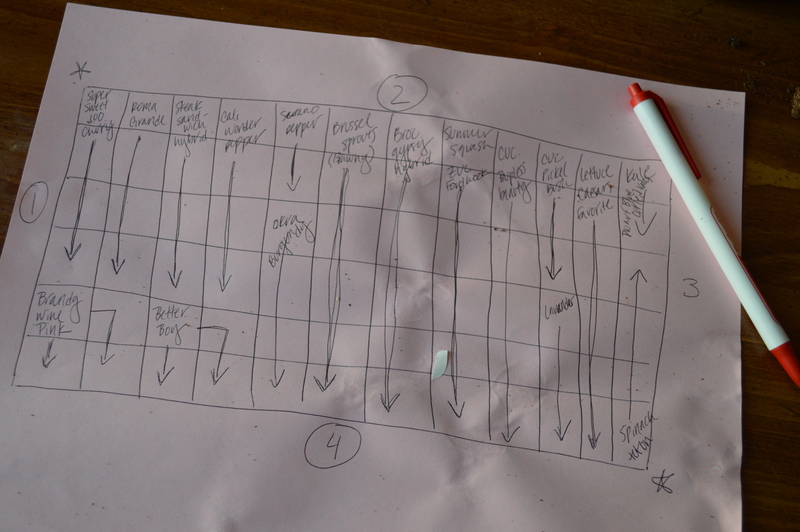 Starting seeds is relatively easy. And, garden companies make it even easier. 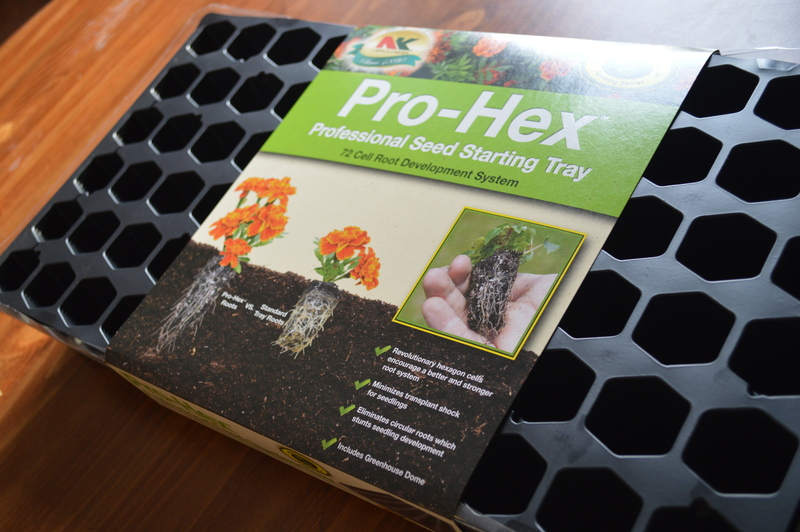 We use plastic seed starter flats that you can get at any grocery or home improvement store. Some have soil pellets in the containers when you purchase them. We used these last year and I didn’t have any issues or complaints. They were great. But, this year we added natural and organic seed starter soil to our starter flats. 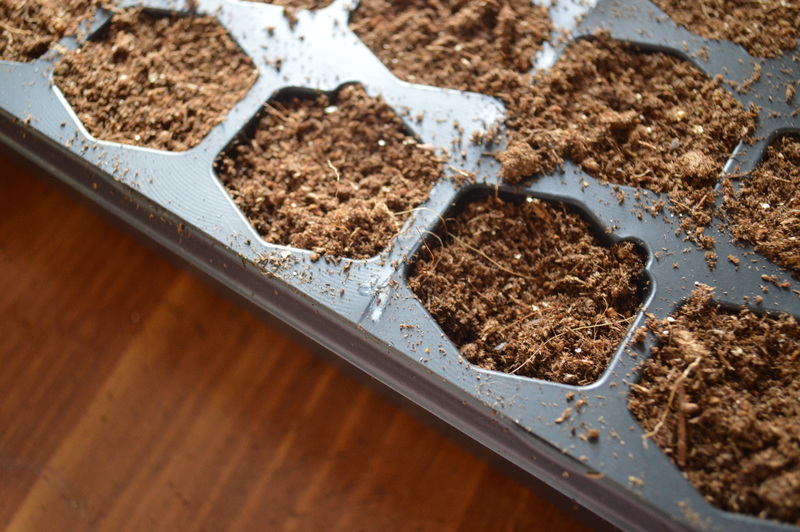 Once soil is in each container in the flat, be sure to water the soil thoroughly before planting. Make sure the soil isn’t too packed or becomes too wet. Seed companies have really made seeds easy to use. 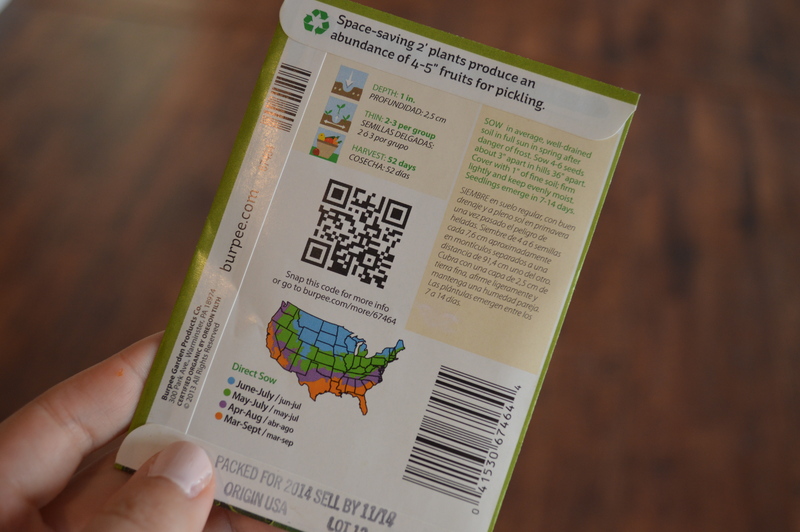 The back of the seed packets have all the basics like when to plant, how deep to plant a seed, if it can grow well in a container or if it needs to be transplanted into the ground and more. 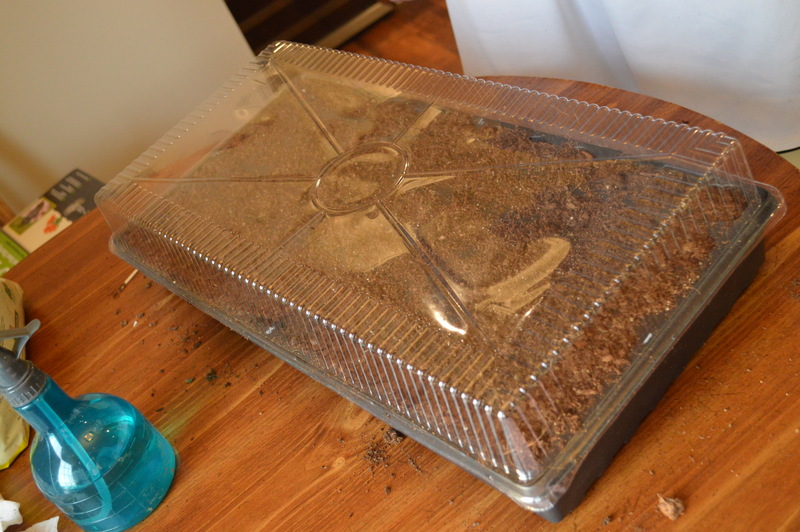 We planted about three to four seeds in each individual container. Once they germinate, we will thin the weaker plants. 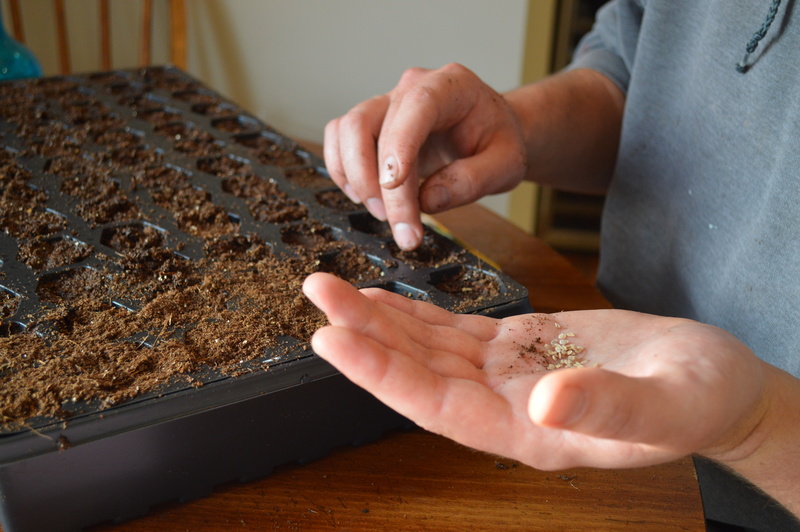 Sometimes seeds will not germinate, and having more seeds in each individual container will help ensure you get a healthy plant. Once complete, put plastic lid on the kit and place it in a warm (65-75 degrees) area of your home away from direct sunlight. You do not want to use light until the seeds have germinated. Check your seeds daily. Make sure soil is moist, but not wet. You should see signs of germination in about 7 to 10 days. 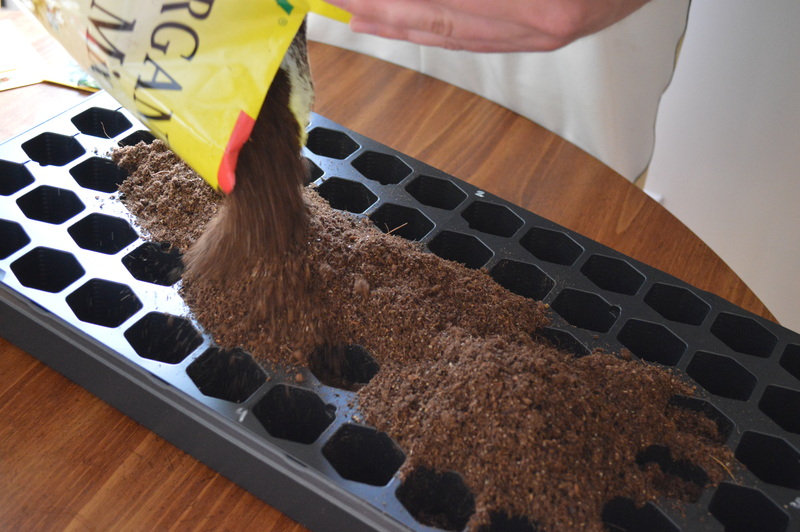 Then, you should move the seeds to a heated lamp or sunlight. – Make a “Cheat Sheet” to show were everything is. Even once the seedlings begin growing, it will be hard to tell what is what for a while. – Mark numbers on each side of the starter kit and mark them on your cheat sheet. The kit can get flipped around or backwards. You will want to know if that’s the side with tomatoes or not. Next time you see these babies there should be some GREEN!